Sweepstakes: MyLifeUNIT Fineliner Color Pen Set | FreebieOrBust Freebies! We have a new giveaway! Believe in yourself and seize the opportunity to win with us right now! 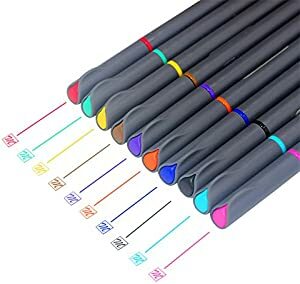 MyLifeUNIT Fineliner Color Pen Set, 0.4mm Colored Fine Liner Sketch Drawing Pen, Pack of 10 Assorted Colors. You have a 1:400 chance of winning this offer. There are a total of 1 prizes to win. Offer hosted by Amazon and MYLIFEUNIT.